Posted March 15, 2019 | Announcement, Community, Featured, Green Initiative, KettleHouse Amphitheater, Live Music, Ogren, The Top Hat, The Wilma. 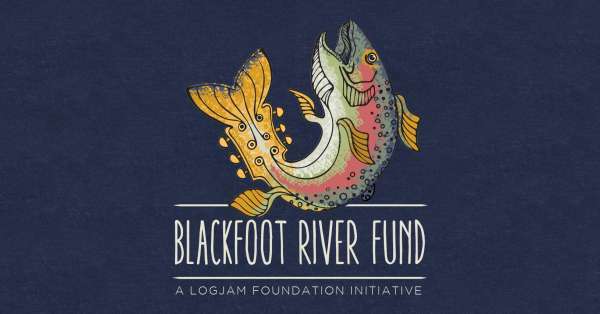 Since Logjam’s Going Green announcement in 2017 — with the generous help and support of Missoula concertgoers — we’ve managed to implement comprehensive composting and broad recycling programs across all our venues; we’ve replaced plastic single-use cups and straws with compostable and reusable alternatives; and now, we’re very excited to announce the elimination of plastic water bottles with the introduction of the Logjam Aluminum Water Bottle. Logjam teamed up with the Phillipsburg, MT-based company, Montana Silver Springs, to produce an endlessly recyclable aluminum water bottle that’s filled with high-alkaline (7.8pH), mineral-rich water directly from the natural springs that flow around Phillipsburg. The water is filled and bottled inside the Philipsburg Brewery with a state-of-the-art system that does not effect the water’s natural mineral content. Logjam will be Montana Silver Springs’ second client following Yellowstone National Park. An estimated 100,000 water bottles will be used within Logjam venues in the upcoming year, so replacing plastic bottles with aluminum bottles will significantly reduce our environmental impact. “Aluminum is the only closed-loop recycling process. It is infinitely recyclable. You get the most material back when you recycle it compared to plastics and glass. When you recycle plastic, it’s ‘down-cycled’ into things like carpet fibers or liners for landfills. A recycled can will become a new can over and over and over again. “The switch from plastic to aluminum bottles took a significant investment, but it’s an important switch that we knew was necessary if we want to be serious about becoming a more sustainable organization. This is another way that Logjam and the city of Missoula can help reach its shared goal of Zero by Fifty. The Logjam Aluminum Water Bottles will be available at the beginning of April at all the Logjam Presents venues, including: the Top Hat, Wilma, KettleHouse Amphitheater, ELM, and Ogren Park.